← Put the Phone Down! Lia with good friend, Shugo. Perfect pecs or what? Swimsuit season is here! During this time our bodies are on display more than most of us are comfortable showing off. From head to toe, look your best by working on key muscles that enhance what you’ve got. This month, we focus on perking up your pectoral muscles. These muscles tend to be more developed in men as they fuss about them a bit more than women. Their testosterone levels also allow them to build bigger pecs. Women can benefit from working their pectoral muscles because stronger pecs will enhance your breasts, which lie on top of the pectorals. What are they and why have them? The pectorals are part of the chest muscles and consist of two key muscles: pectoralis major and pectoralis minor. 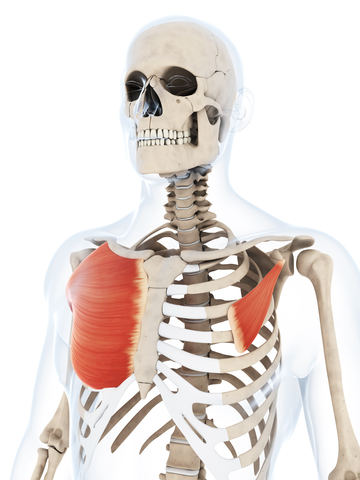 The pectoralis major are the larger, fan-like muscles that span across the upper chest. They attach from the sternum and ribs to the collar-bone and meet at the upper arm bone. Pectoralis minor are triangular muscles that lies primarily beneath the pectoralis major and at the upper part of the chest closest to the collar-bone and scapula. They attach from the middle of the ribs and move up towards the shoulder inserting into the coracoid process of the scapula. Confused? Pictures are worth a thousand words! The primary purpose of the pectorals is to enable arm and shoulder movement. For example, these muscles are what help you throw a ball, raise a child or lift items, flex your arms towards you or extend them away from you, and flap your arms. 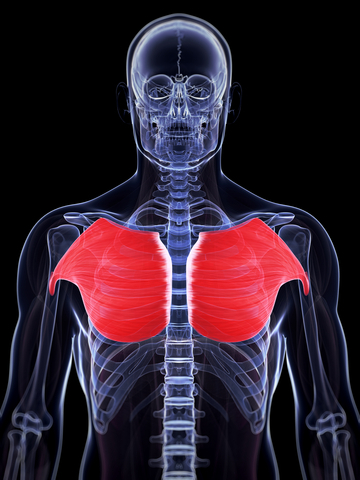 With the other chest muscles, the pectorals also help with your breathing. Ready to build stronger pectorals? Here are a few exercises to add to your next workout. 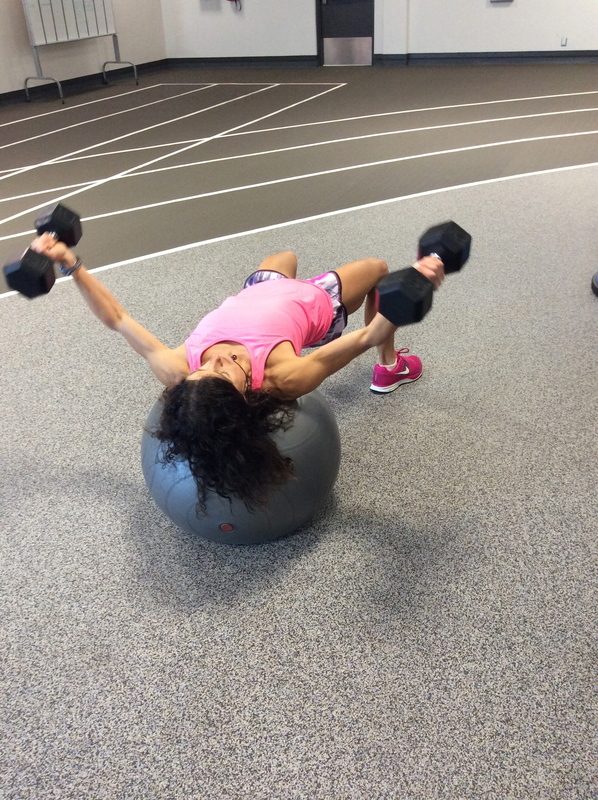 For extra work on your core, try this press on a stability ball. The above exercise can also be done on a flat bench or incline bench. Another exercise that you can do either on a bench or a stability ball. Let us know what you think of these exercises. Your chest muscles will definitely feel the workout! This entry was posted in Fitness Tips, Weekly Blogs and tagged chest muscles, pectoralis minor, pectorals, pectorals major. Bookmark the permalink.